From Pink to Prevention is a new initiative formed in 2013 by Deborah Burton from Tipping Point North South, Helen Lynn from the Alliance for Cancer Prevention and Diana Ward of the Working Group on Primary Prevention of Breast Cancer. It draws on our campaigning expertise over the past two decades in raising public, media and political attention to the issues of environmental and occupational links to cancer – especially breast cancer. Initially, at the Women’s Environmental Network, through work on Putting Breast Cancer on the Map which began in 1996 through to the publishing of Breast Cancer: An Environmental Disease in 2005 by the UK Working Group on the Primary Prevention of Breast Cancer and the development of their campaign No More Breast Cancer. 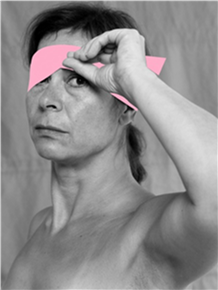 From Pink to Prevention follows up the work started at the No More Breast Cancer Campaign – created as a result of our document ‘ Breast Cancer, an environmental disease’. In that document, we explained our belief that there were many ‘barriers’ to understanding primary prevention i.e. stopping the disease before it starts. more than 30 years experience of campaigning for change on a wide range of social and political issues e.g. education, environment, human rights. Her main interest since 1993 – the politics and prevention of breast cancer. From 2004-2007 as the Chair of the charity Breast Cancer UK, Co-founder of the No More Breast Cancer campaign 2005 and member of the UK Working Group on Primary Prevention of Breast Cancer. Principal author of ‘Breast Cancer: an environmental disease. The case for primary prevention’ – the foundation work of both the No More Breast Cancer and From Pink to Prevention campaigns. Diana now lives in Australia. Helen has campaigned on cancer prevention since 1995 and is a freelance campaigner/ researcher at Wildcard Research. For 12 years she worked as Health Co-ordinator and later as co-director of the Women’s Environmental Network. She has worked internationally and at EU level with Women in Europe for a Common Future and is on their International Advisory Board. Her campaign work began with initiating Putting Breast Cancer on the Mapping at WEN, the lottery funded campaign which encouraged women to map local sources of pollution alongside incidence of breast cancer. She was one of the founders of the the UK Breast Cancer Coalition and of the No More Breast Cancer Campaign. She currently facilitates the Alliance for Cancer Prevention which works with occupational and environmental health specialists and activists to challenge the existing emphasis on control and treatment of cancer as the only way forward and get equal recognition for primary prevention, particularly in relation to environmental and occupational risk factors. In 2013 she was awarded the ‘Alan Award’ from the Hazards Campaign for her work on cancer prevention. She later became head of development for Patrick Rainsford and actor Gabriel Byrne’s company, Mirabilis – USA/Ireland/UK. Her first short screenplay starred Martin Sheen, and she is a former governor of the London Film School. A change of direction took her into the NGO sector, first in the peace movement and in 2004, joined Christian Aid on Trade Justice campaign as Global Campaigner, role to popularise the campaign through enlisting internationally recognised ambassadors; delivering high profile events; film and TV projects focused on trade issues. She left Christian Aid to co-found Tipping Point North South (TPNS), which launched summer 2009. Ho-Chih left Taiwan for UK to broaden his horizon. Prior to his involvement in social-issue documentaries, he was trained as a quantum physicist. His focus, however, gradually moved away from natural phenomena towards social and human issues. He is now a member of the TPNS team. He holds a PhD from University College London and an MSc from London School of Economics and Political Science.